Shawn Stephens got his business degree and began adding hat after hat at work. EDITOR'S NOTE: An earlier version of this story misspelled Ayaz Somani's name. 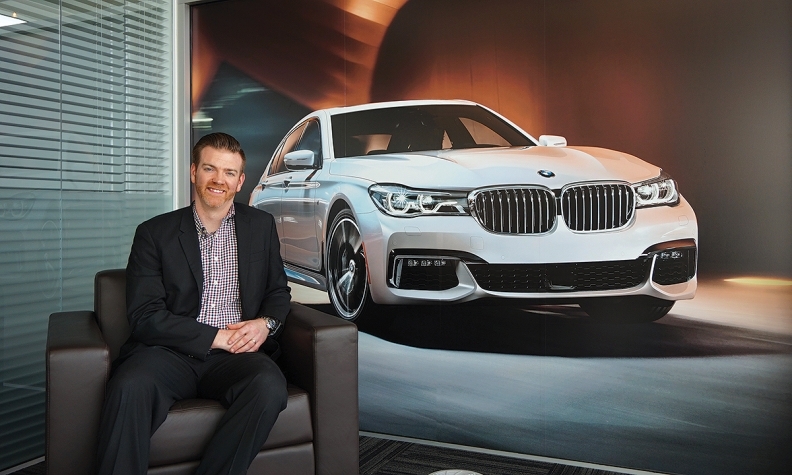 In his role at BMW Canada as manager of aftersales systems and innovation, Shawn Stephens has two areas of responsibility. Aftersales systems entails managing all the systems that dealerships use for service write-up and scheduling, as well as the systems theyuse to diagnose, service and repair vehicles. The other area, denoted by the innovation label, is leading technical support for vehicle connectivity, encompassed by infotainment and safety systems, and telematics. Those two areas don’t appear to be an obvious natural pairing, but Stephens has the unique credentials to make it work. Soon after, he landed at BMW Canada in the customer call centre where he quickly became the go-to person for technical matters. The aftersales department took notice and recruited him for a series of roles with increasing responsibilities. 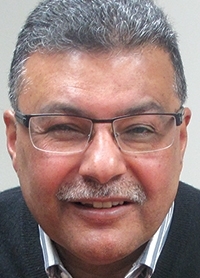 He showed interest and aptitude for understanding connected-drive technologies and it wasn’t long before BMW Canada asked him to manage tech support, in addition to his aftersales duties. Loulia Kouchaji's trilingual background helps her deal with different levels of government in different provinces, even internationally. 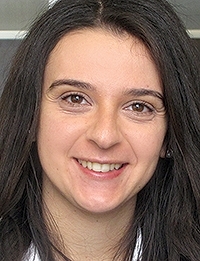 About five years ago, when Loulia Kouchaji graduated from the School of Public Policy and Governance at the University of Toronto, she didn’t know what she wanted to pursue with her new qualifications, but she knew what she didn’t want to do. “A lot of my classmates ended up working for the Ontario public service. I wasn’t ready to go down that road,” says Kouchaji. At the time, the Global Automakers of Canada (GAC) was looking for a public-policy analyst to help in its role of informing and representing the interests of its members about pending government policy. The GAC’s members are all the major automakers operating in Canada, that are not GM, Ford and FCA. Her intuition proved right, and Kouchaji says she also enjoys the fast-changing nature of the auto industry, and its prominent role in environmental advancements. About two years ago, she was promoted to Senior Policy Advisor, and does plenty of heavy lifting on anything to do with the province of Quebec, due to her trilingual abilities. Born in France, to parents of Syrian heritage, Kouchaji speaks English, French and Arabic. Ayaz Somani changed his business model to supplying instead of manufacturing. AVG Group, based in Scarborough, Ont., is a global supplier to Toyota, Lexus, Hyundai, Nissan and General Motors. It’s probably because AVG and its CEO, Ayaz Somani, like to keep a low profile, and because AVG is an “accessory” supplier and not a parts supplier. AVG supplies headphones and Bongiovi-branded digital processors, interior LED lighting, special-edition trim pieces, seat heaters, mirror systems and more. AVG doesn’t make any of these products. It often engages Tier One parts makers such as Magna and Delphi to make them. Somani says AVG’s strategic advantage is its ability to manage the supply chain for automakers, so accessories can be installed wherever it makes sense, whether on the factory floor or at the dealership. Somani says he is glad to have built the AVG Group in Canada and that it contributes to the country’s economy. He and his family came to Canada in 1972 as refugees from Uganda, during dictator Idi Amin’s reign.